Compare water temperature measurements between the top and bottom layers of the tank. While we have seen tanks with as great as a 24°F difference between upper and lower water layers, a difference as little as 1°F can lead to water quality issues. Read our case study from Spanaway, WA where operators measured big differences in disinfectant residual levels in their standpipe. Even if water temperatures are consistent throughout the tank, your standpipe may still be chemically stratified. Grab samples will show that the disinfectant residual levels at the top of the tank are lower than levels at the bottom of the tank where fresh water is entering. You may also notice that your residual drops as your tank drains. This is another tell-tale sign of chemical stratification: disinfectant residual levels are lower in the upper portions of the tank. Read our case study from Pinellas, FL where operators saw significant chemical stratification despite temperature uniformity. A “sweat mark” can form on the outside of a water tank, marking the level of cool water inside the tank (for the same reason that a glass of cold water will form condensation on the outside of the glass). If the tank is thermally stratified, the sweat mark will stop at the thermocline – the barrier between the cool water at the bottom of the tank and the warm, stagnant water at the top of the tank. If the height of the sweat mark is lower than the height of the water inside the tank, you have a thermally stratified tank. Read our case study from Walkerton, ON where operators first noticed they had stratification by observing a sweat mark on their tank. Standpipes don’t just face thermal stratification issues in the summer when temperatures are warm, standpipes can also become thermally stratified during winter. Because standpipes are vulnerable to weather changes, the top of the tank can get very cold resulting in ice formation. Warmer water entering the bottom of the tank will remain there because it is heavier that the freezing water at the top of the tank. 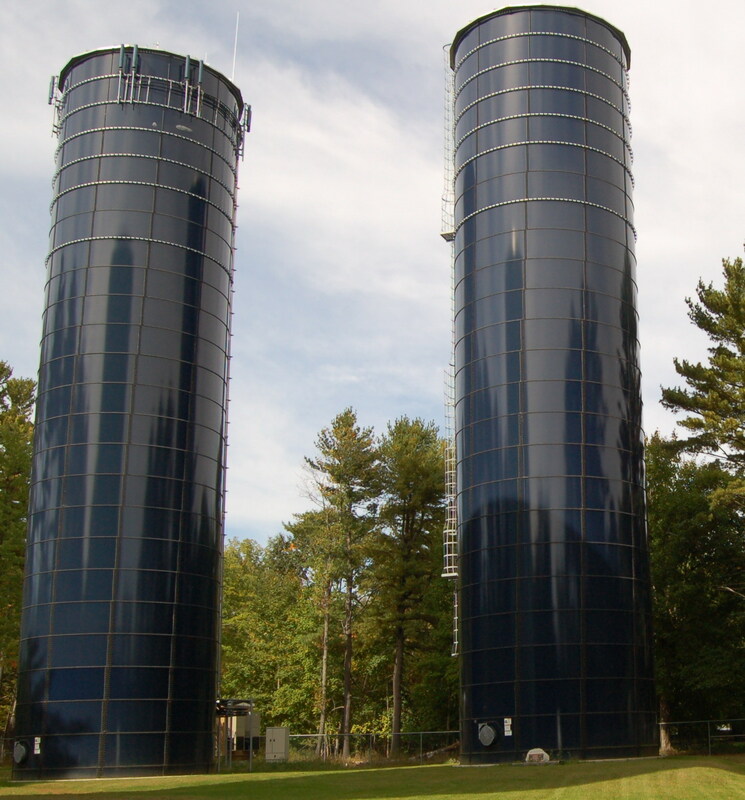 Read our case study from Old Town, ME where operators used active mixing to prevent ice formation in their standpipes. If you have a standpipe, it is almost certain that you have thermal stratification during some of the year and poor water quality as a result. It is important to have a strong mixer that is able to force a powerful jet up to the top of the tank, mixing the entire volume. To learn more about how much mixing your tank needs, read our whitepaper on mixing power.